Arm & Hammer Advanced Care Toothpaste is formulated with baking soda that penetrates deep into the microscopic crevices on the surface of teeth for maximum strength cleaning. Made with natural ingredients to help fight tartar, clean teeth and freshen breath. 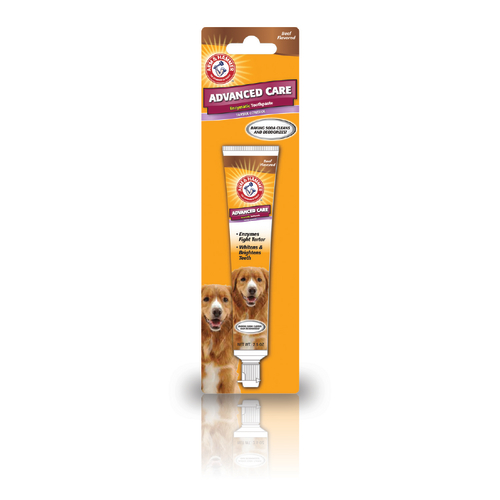 •	Improve your dog’s oral hygiene.